True or False: Lawn/grass painting does not require a contractor license. Which is the correct way to draft a payment schedule to conform with contract law (BPC section 7159.5(a)(5))? 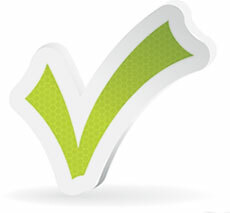 True or False: There is no contractor license or certification for mold remediation. Either a C-45 – Sign contractor or a D-42 – Non-Electrical Sign contractor. When is a written change order necessary according to state contracting law (BPC section 7159(d))? Only when a customer does not agree with the change. Any time a change is made to the home improvement contract. Only when a customer will be required to pay more than the original home improvement contract. 1: False – A C-33 Painting contractor license is required; 2: C – A deposit may not exceed $1,000.00 or 10 percent of the contract price, whichever is less; 3: C – Payments may not exceed the value of the work performed or materials delivered ; 4: True – but only if the spraying is done without removing drywall or performing any other structural alteration; 5: C ; 6: B – A written, detailed change order must be signed by both parties before work begins any time a change is made to the original contract.